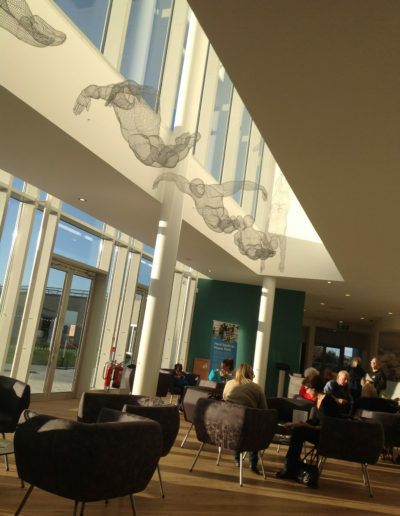 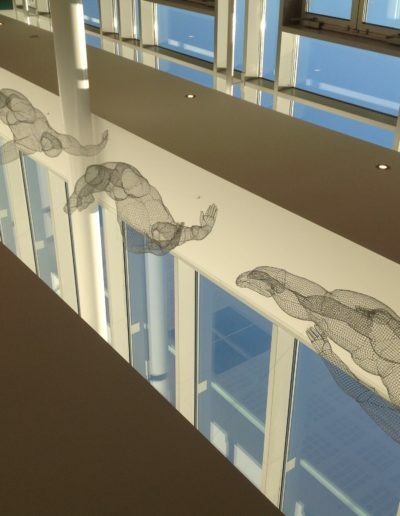 Having seen my work on display at The Biscuit Factory, South Tyneside Council approached me about a commission for Haven Point – a large new leisure centre on the sea front. 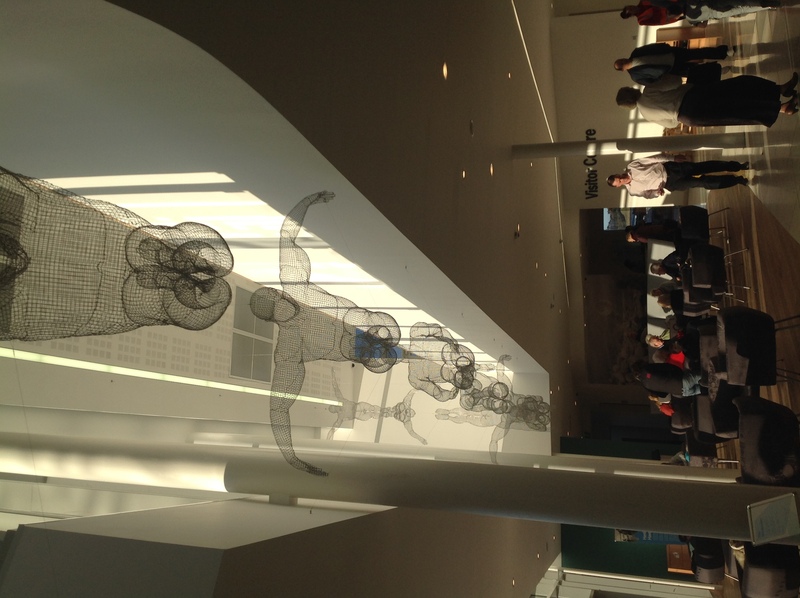 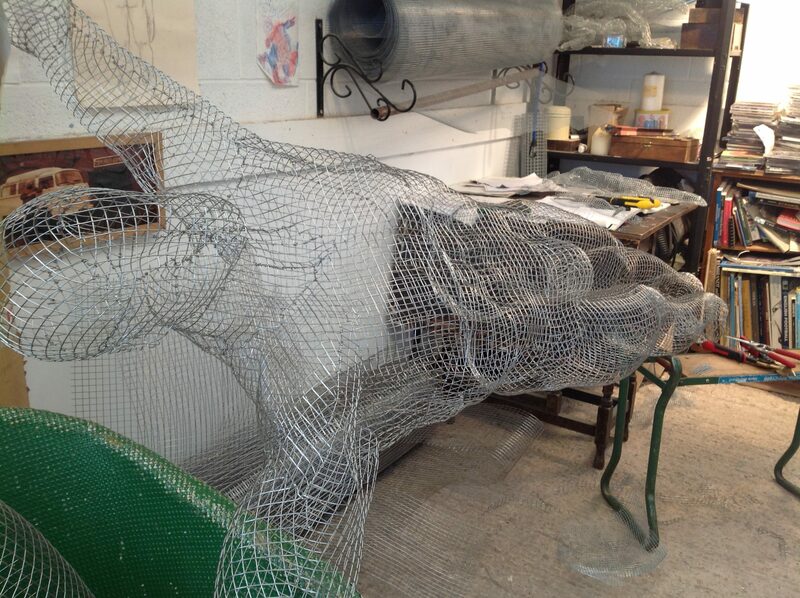 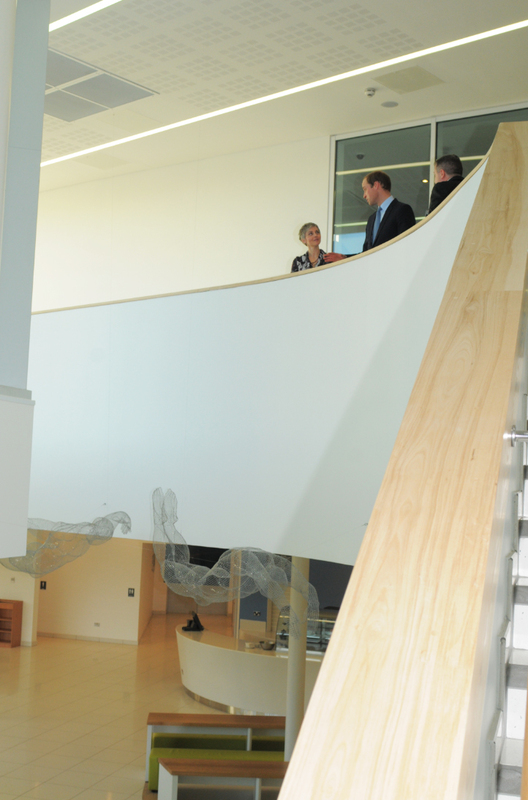 The 15 metre-high atrium offered the perfect space for a piece called ‘The Wavemaker’. 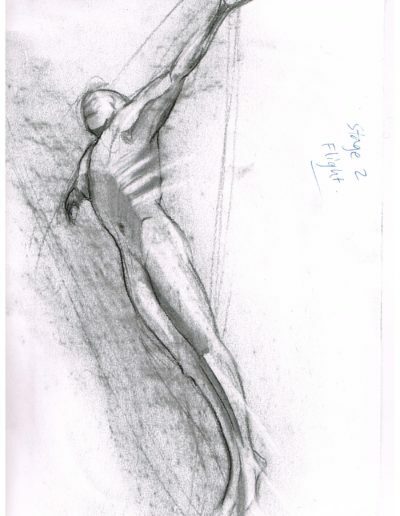 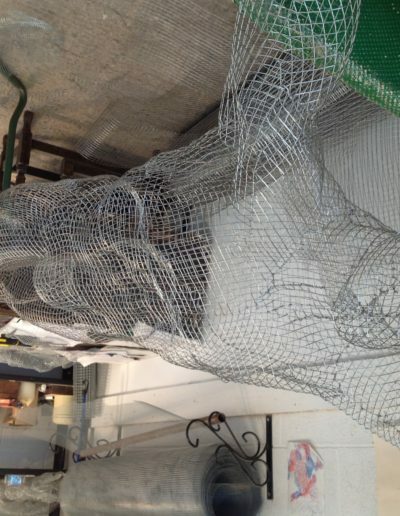 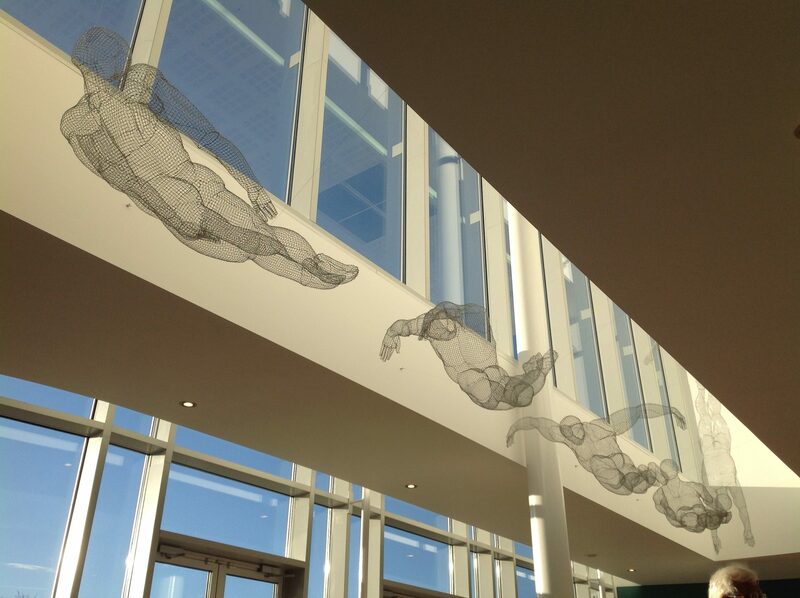 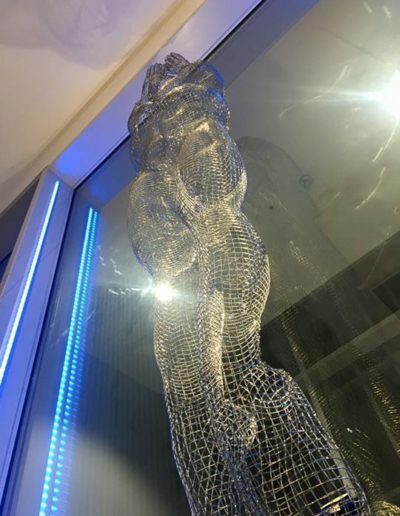 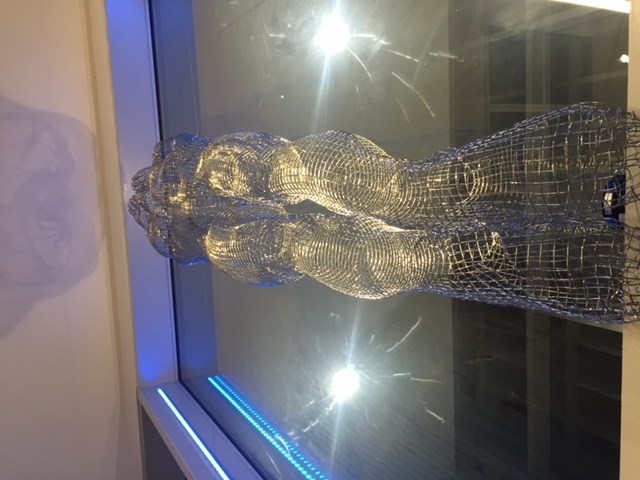 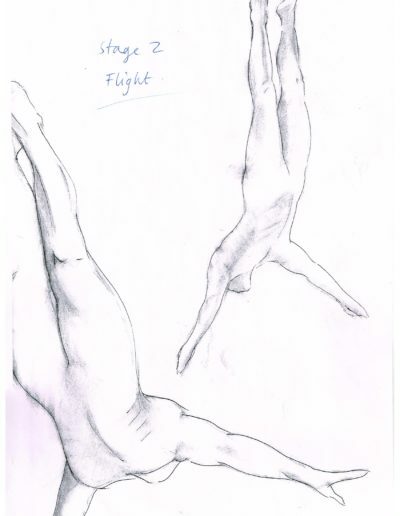 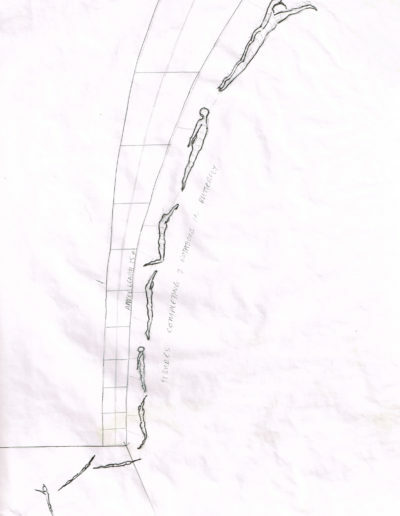 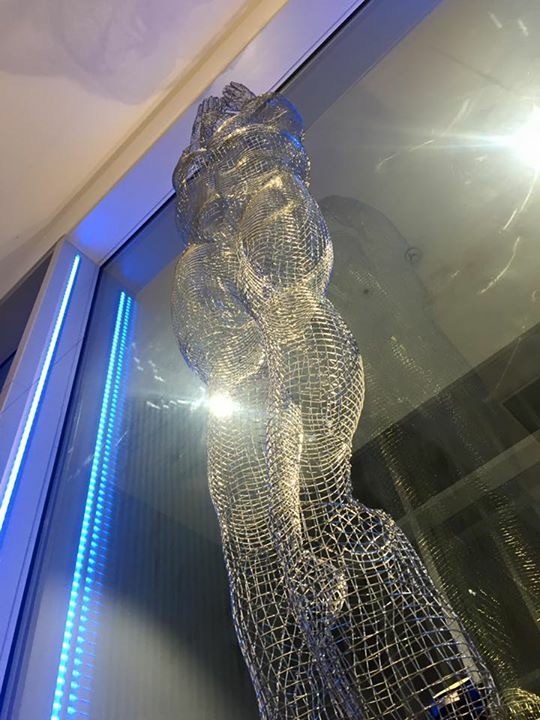 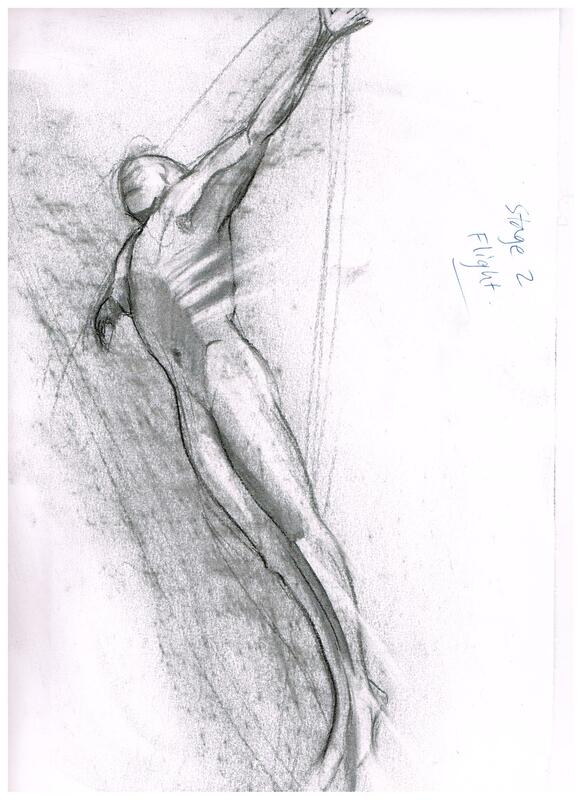 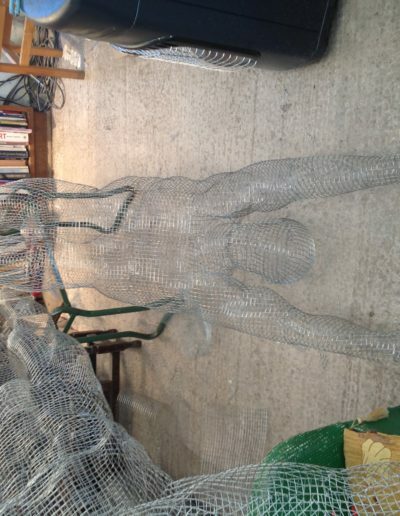 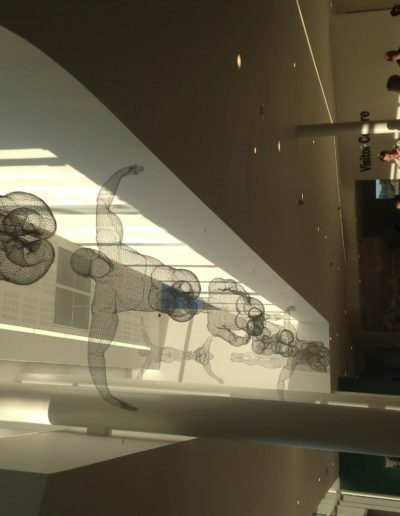 Based on Olympic medal winner Mark Foster, it features a swimmer in motion – going through every stage of the butterfly stroke across the length of the building. 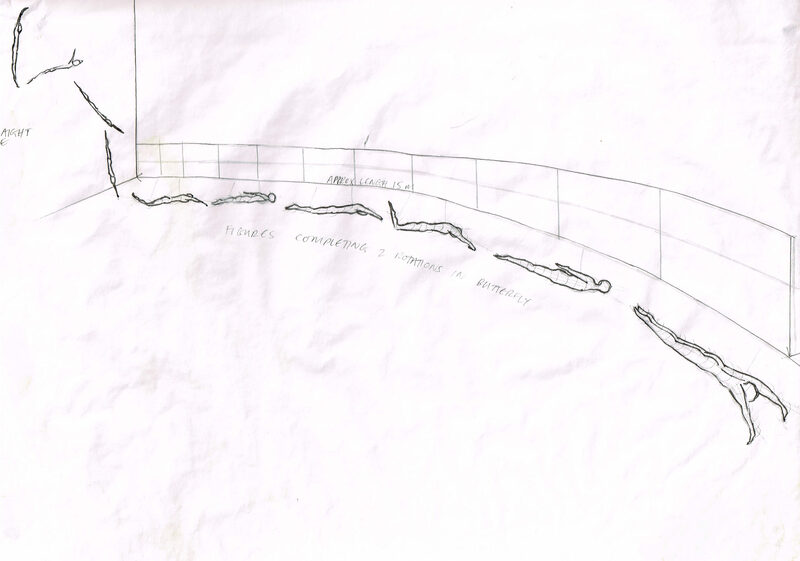 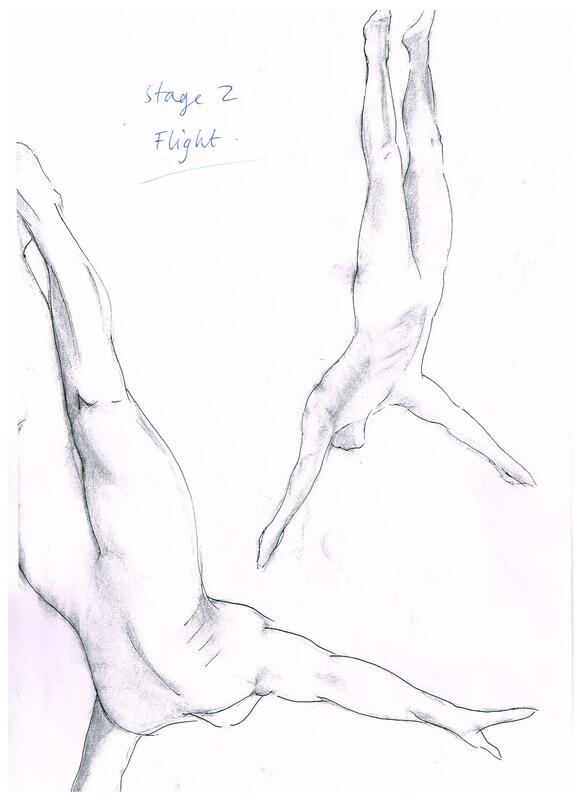 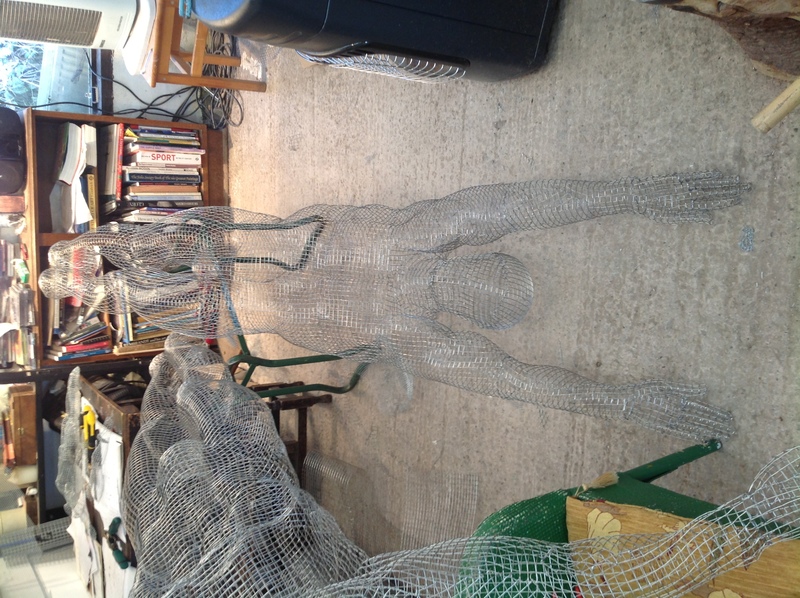 Mark kindly sent me his measurements so that once again, the swimmer would be as true to life as possible – I didn’t realise he was 6ft6! 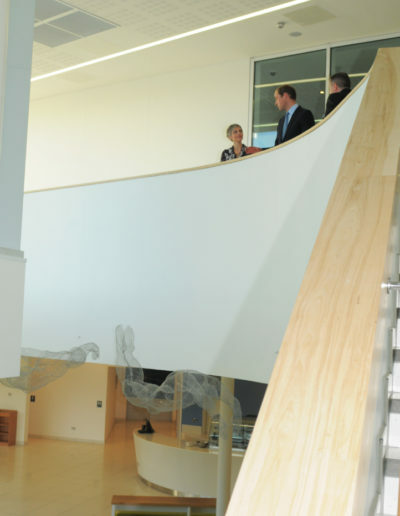 HRH Prince William officially opened the leisure centre once The Wavemaker was in place and was very complimentary.